We finally made it to the last day of our journey. We have to say that we have had an excellent journey. We have achieved all of our goals, despite some minor setbacks. Geoff even said that he get more that what he expected. So he was totally pleased with the journey, and would recommend this to everyone back home in England. There were changes that deviate from our original plan. Aside of Geoff’s meeting place that shifted from Madiun to Solo, Paul and Hayden also decided to continue all the way to Surabaya, instead of terminating their trip in Solo. 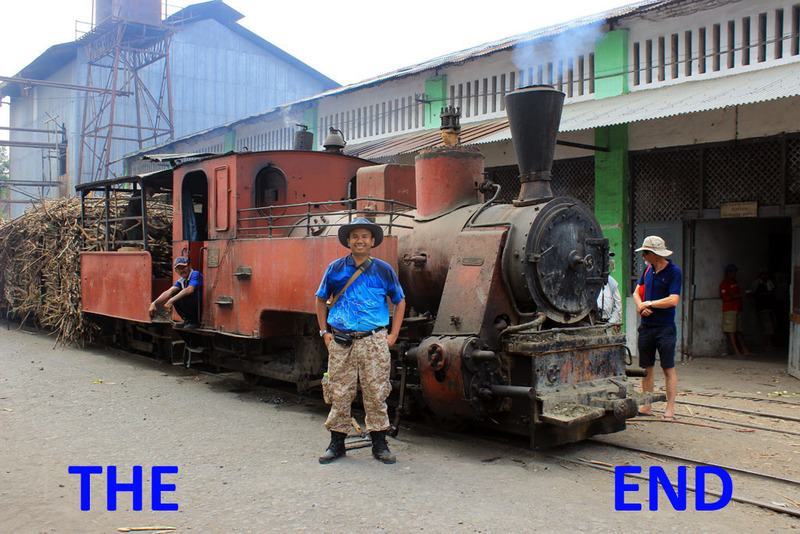 After breakfast, we took Geoff to Madiun railway station where he will take the train to Bandung. 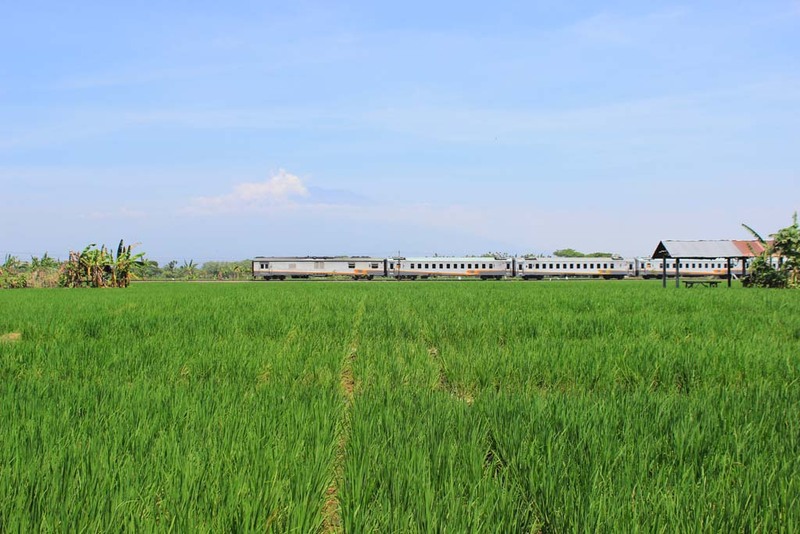 He will have a long and rather circuitous to Jakarta, where he will stay overnight in Bandung before taking a trip to Sukabumi, where from there he will catch a train to Bogor. In this place he will stay overnight before catching the train to Depok on the following day, and then bus to Jakarta airport. While Paul and Hayden stayed with me, where they will accompany me on my return trip to Surabaya. So the return journey to Surabaya will be a joyful one. Geoff bade farewell to us at Madiun station. 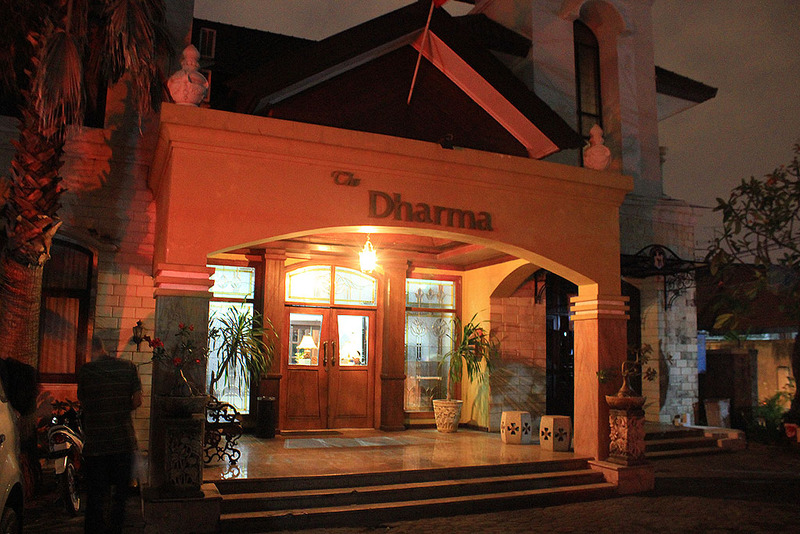 From there, we returned back to our hotel where we picked up our belongings and head to Surabaya. 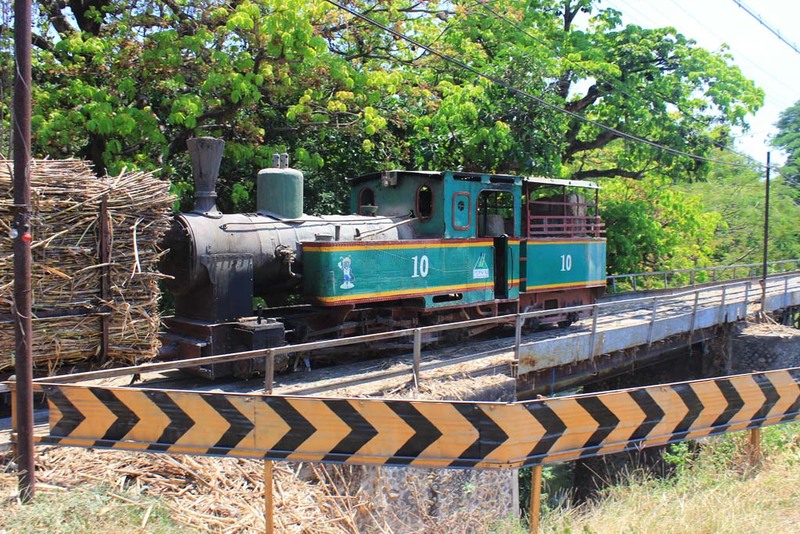 But first, we decided to have “sequel” to our previous visit in Purwodadi, as well as trainspotting State Railway train in a place somewhere near Purwodadi mill. There was confusion when we traveled there. 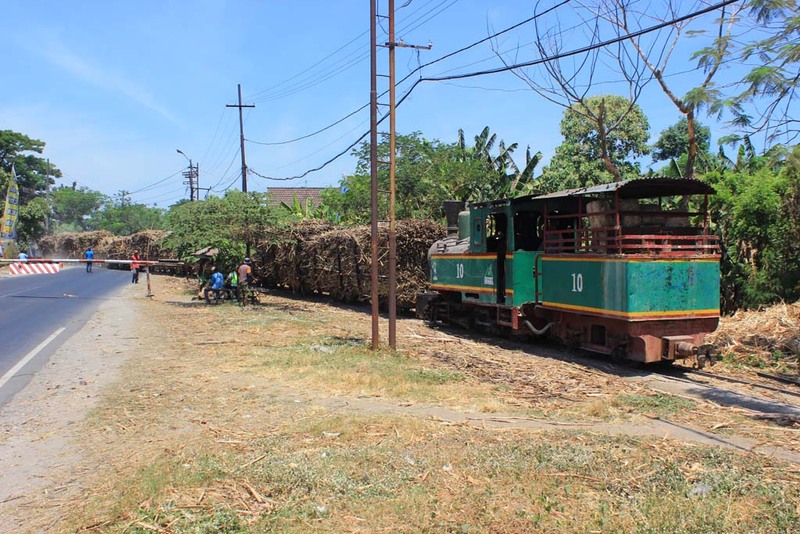 I initially suggested that we do trainspotting first before heading to Purwodadi, as I mistakenly believing that Purwodadi mill is located after the level crossing. 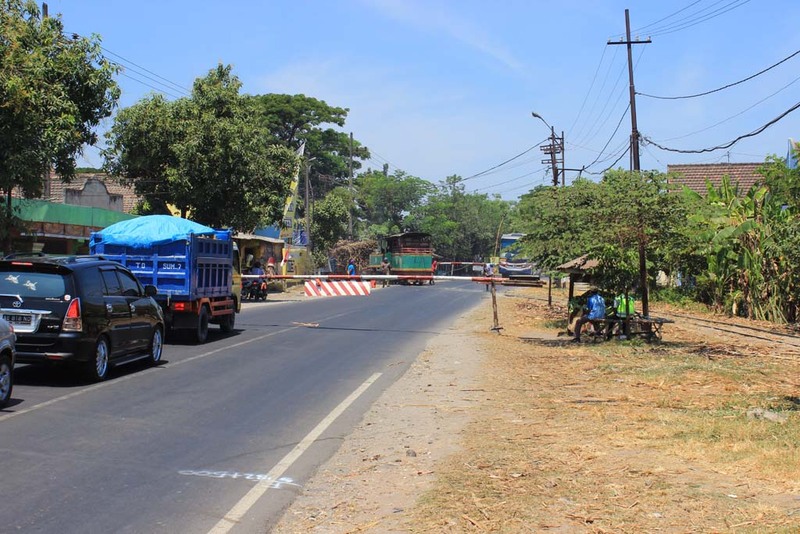 But as we left Maospati, we passed through Purwodadi first! I hit the brake slowly, and parked my car on the streetside. 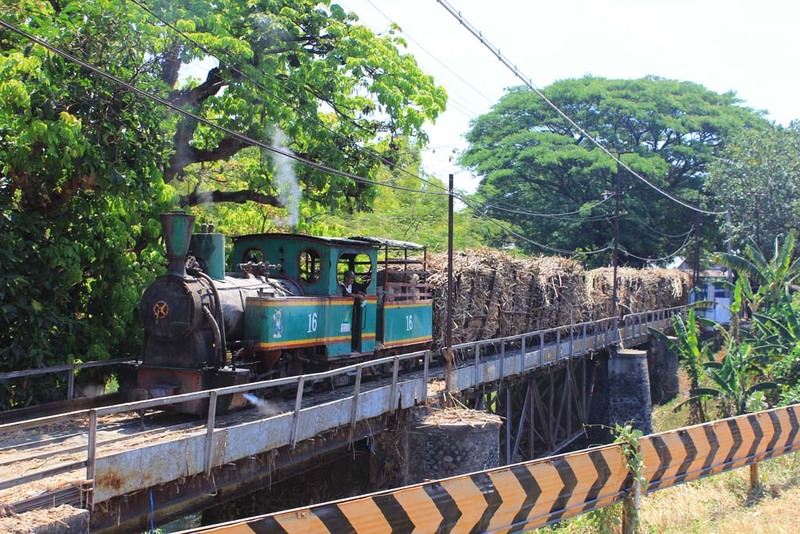 We did saw a sugarcane train entering the mill, but by the time we prepared our cameras, it was already too late. 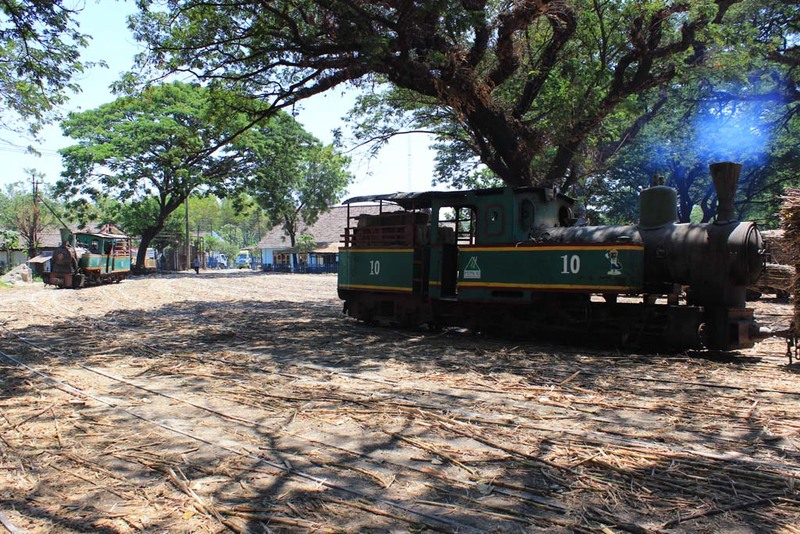 The train didn’t return back to the road yard for long period, leaving the whole scene empty. 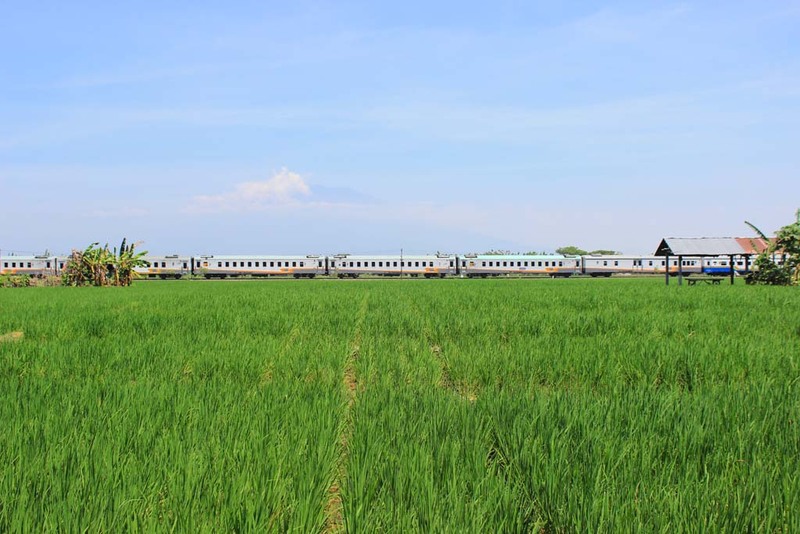 So we decided to resume our journey to the level crossing, where we will catch the Westbound Sancaka express train from Surabaya. After some browsing, we decided to photograph from a spot next to the main highway. 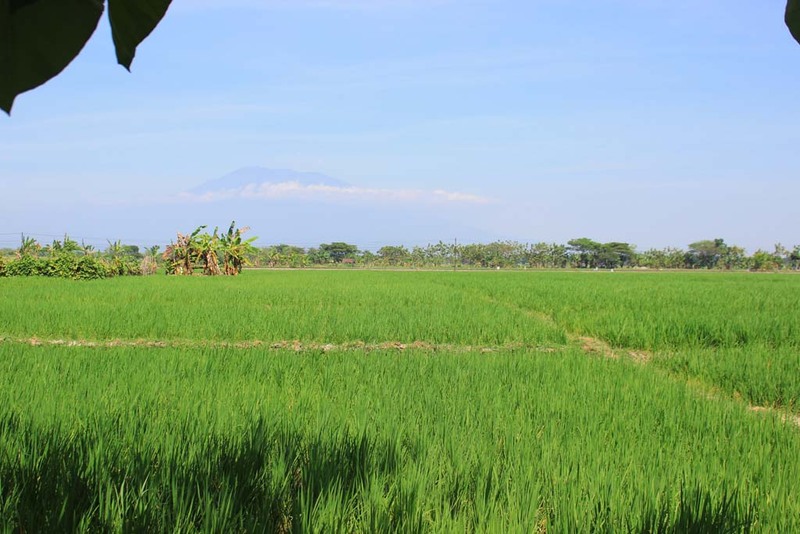 From this point, we could see mount Lawu clearly, although by this time it began to be shrouded in clouds. We waited for quite a long time in this spot. Maybe almost an hour or so! 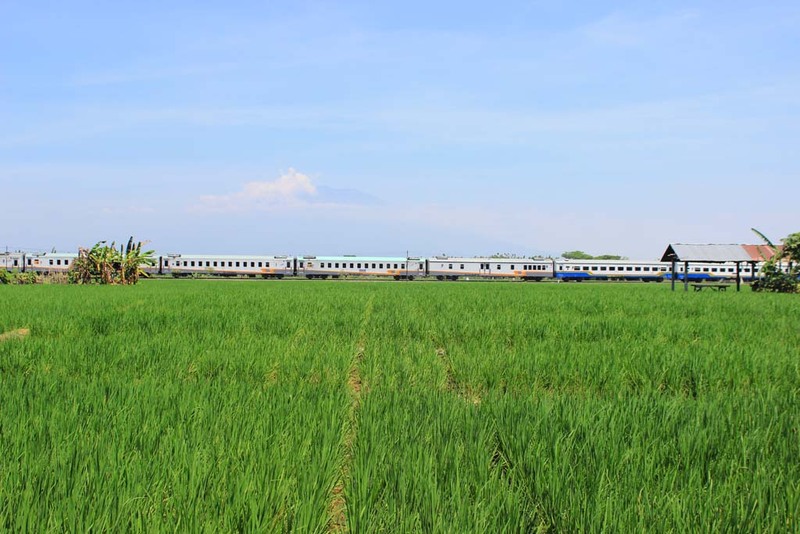 But our patience was rewarded when the Sancaka train appeared from Madiun direction. 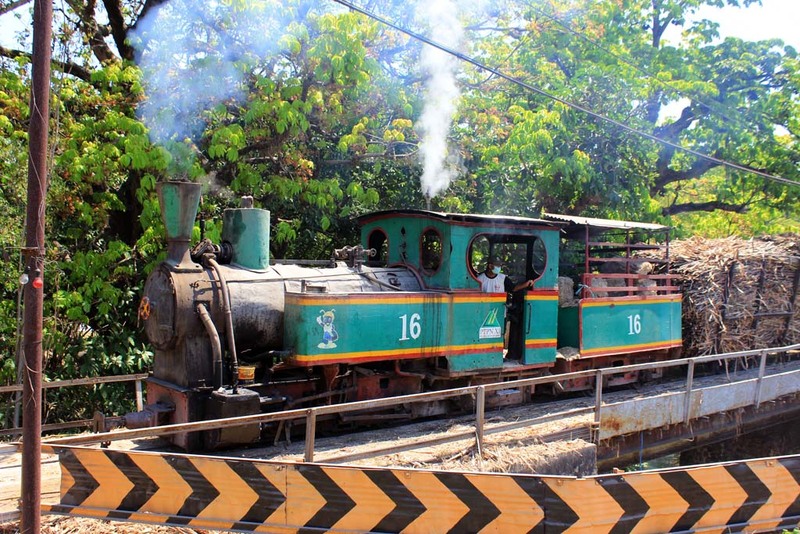 Unfortunately, the volcano have become less visible than when train arrived in this spot. We soon headed back to Purwodadi. But as we’re about to cross the level crossing, suddenly the boom gates were lowered. Apparently there is an Eastbound express train coming from Geneng station. It’s an eastbound Economic class train. I have no idea about the train’s name. 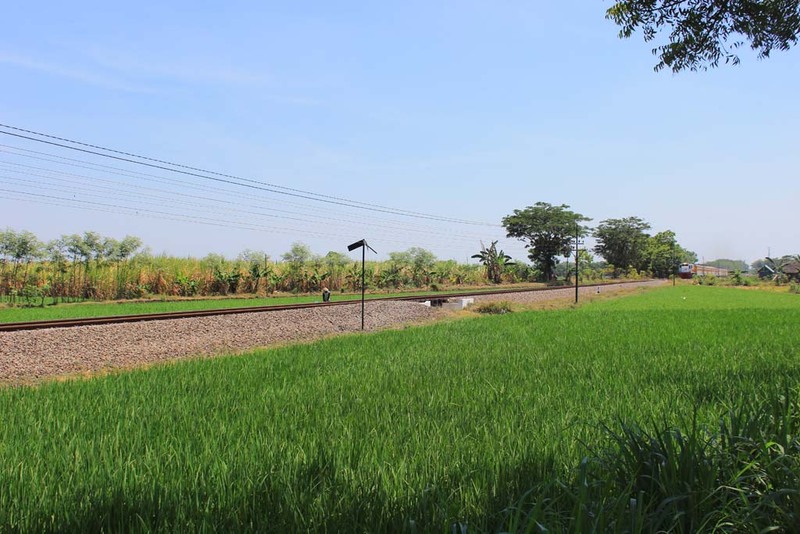 Once the train passes, we resume our journey to Purwodadi. Once arriving there, I parked the car near the road yard. 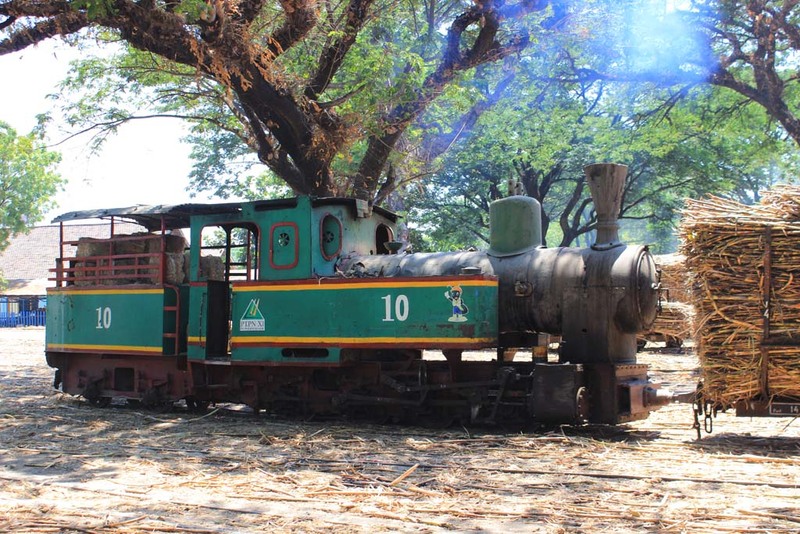 Inside we caught up with the loco that we didn’t saw earlier: the number 10. And as a standard of procedure in here, it is also assisted by another locomotive. 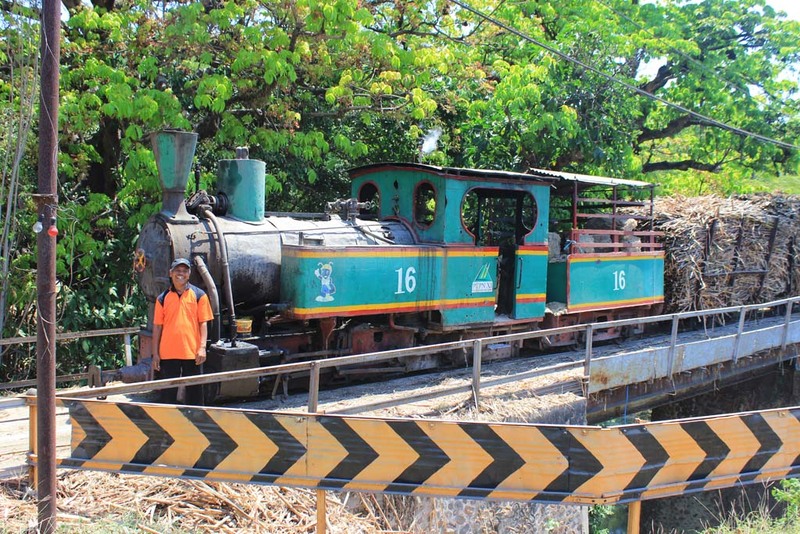 The assistant’s loco turns out to be the number 16. 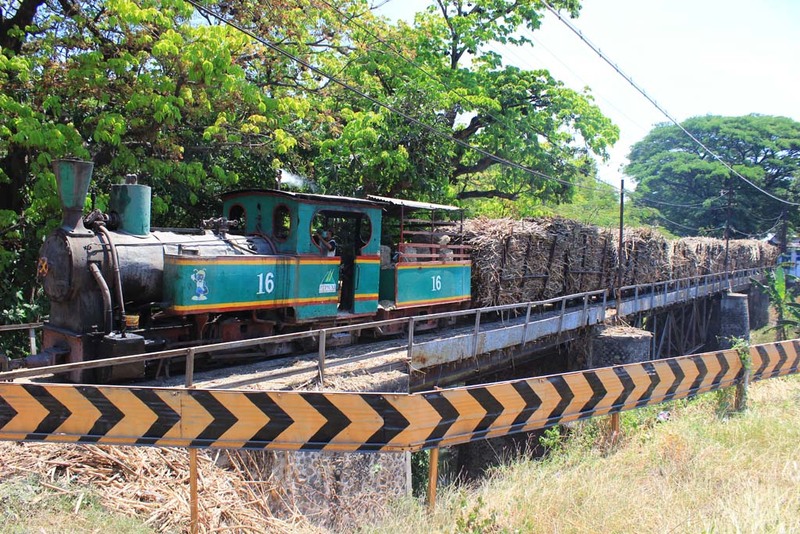 A few minutes later, we caught up with the first sugarcane train that we see today. It is hauled by number 10. 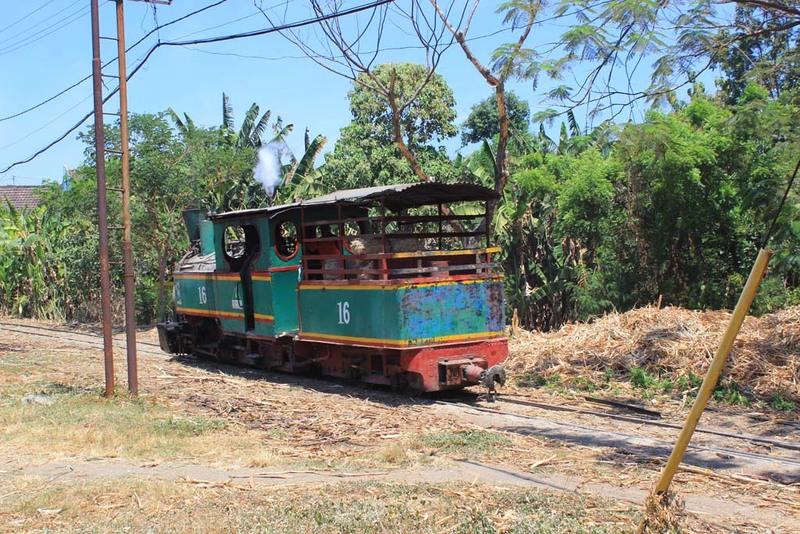 The number 16 trailing close behind…..
….and began to push the loaded train into the mill. Apparently, there is a clogging here. Despite the setback, the driver was very happy to be photographed. It’s all happy life in this part of the world. Not long after that, the track is cleared and the driver can resume his duty of pushing the loaded train into the mill. 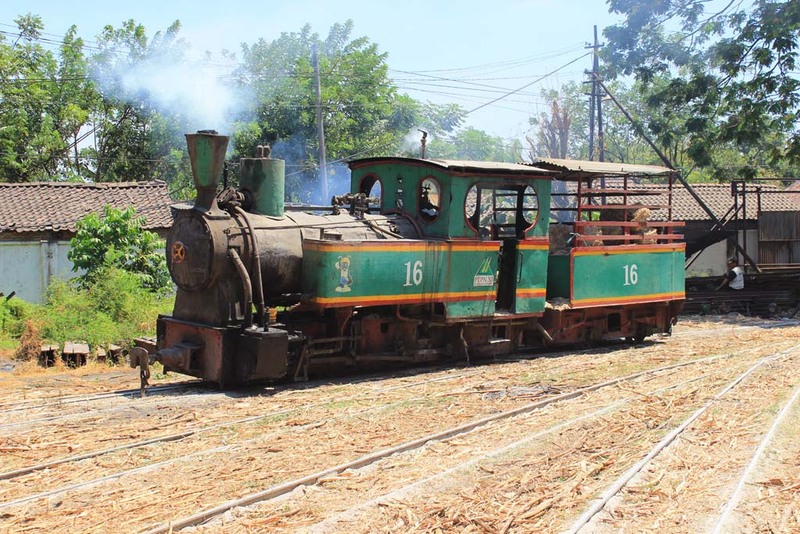 Once we finished photographing the loaded train, we returned back to our car to return back to Surabaya. As I was about to enter the car, I caught the sight of school children returning back to their home after school end. 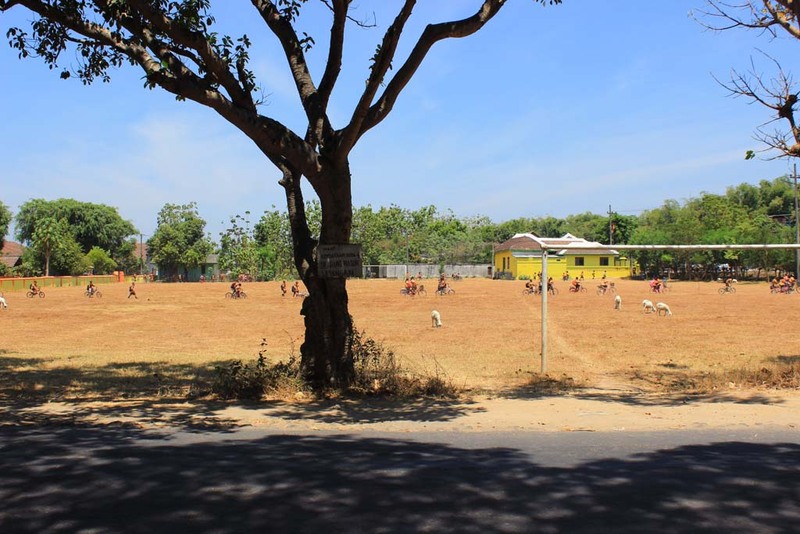 We drove to Surabaya, where on the first few miles, we went through the main road. 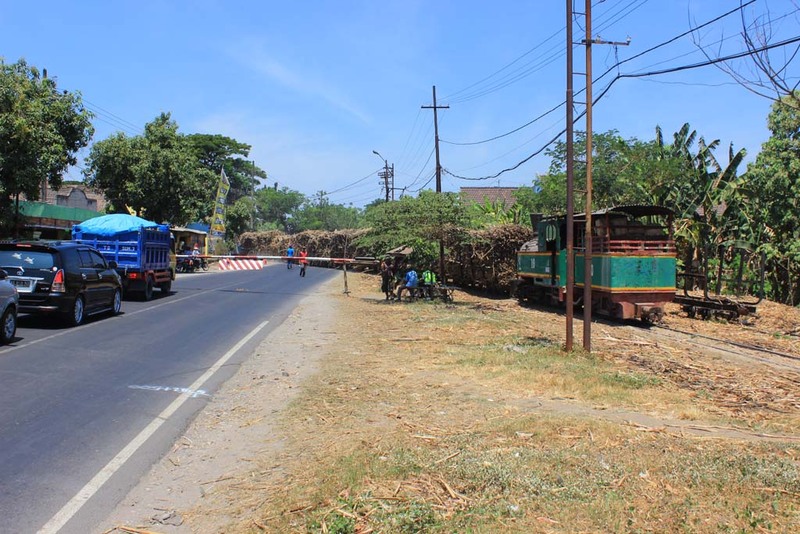 These days, traveling through the main route of East Java tend to be very unpleasant as more trucks began to flock the main road. Most of them traveling at very slow speed. And due to their immense size, they tend to occupy all lanes. There was one incident when we traveled in Saradan area, where one madman hitting passing cars (including ours) with sugarcane. At one point I was going to confront that punk, but Paul suggested that we should stay away and resume our journey. At my father’s request, we stopped by at my paternal grandparent’s cemetery in Nganjuk, where I lay wreath on their tombs. A ritual that is normally done during Eidul Fitri eve. The locals were quite amazed to see Caucasian persons such as Paul and Hayden to visit their village, as the last Europeans visited the village was when Dutch forces overran East Java in 1940s. Soon after I completed the wreath laying ritual in Nganjuk, I bade farewell to the locals and head to Surabaya. 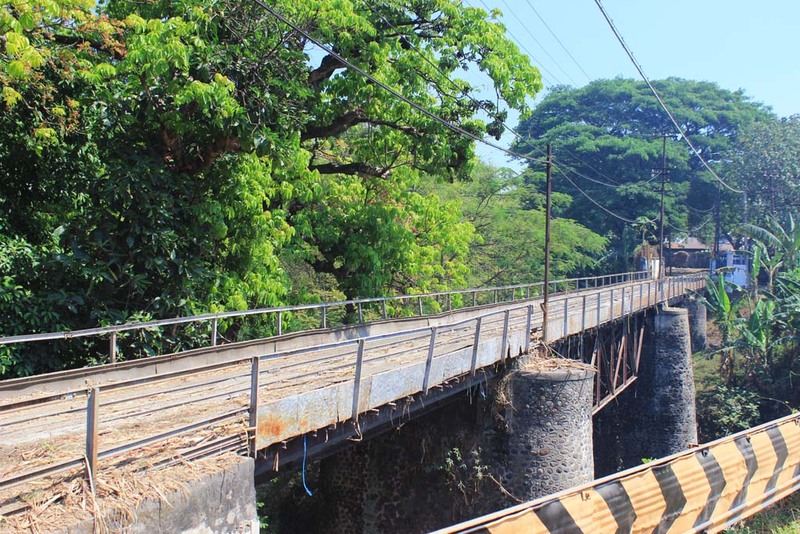 This time, we took the backroad which bypassed the busy main highway. The road is narrow and winding, but at least we see much fewer trucks when compared to the main road. We truly enjoyed driving on this rural back road. Very quiet and very relaxing. Nothing really blocks our way. 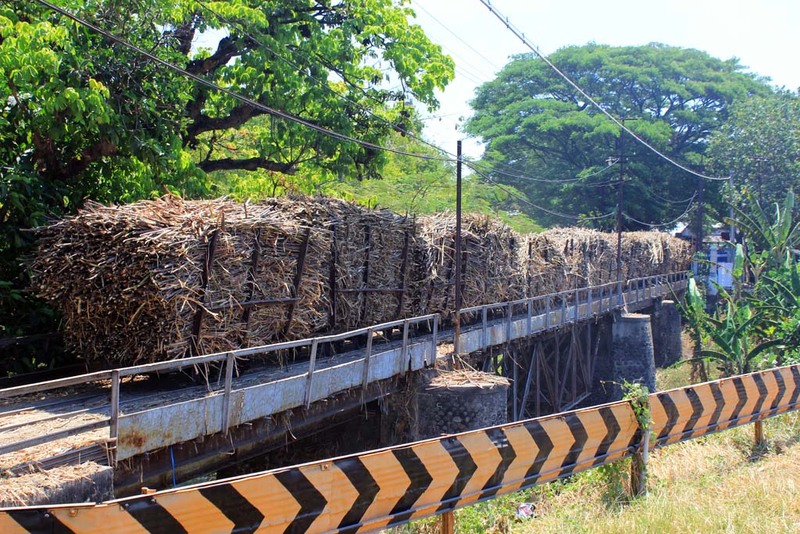 There are occasional slow sugarcane trucks, but they were easily overtaken. 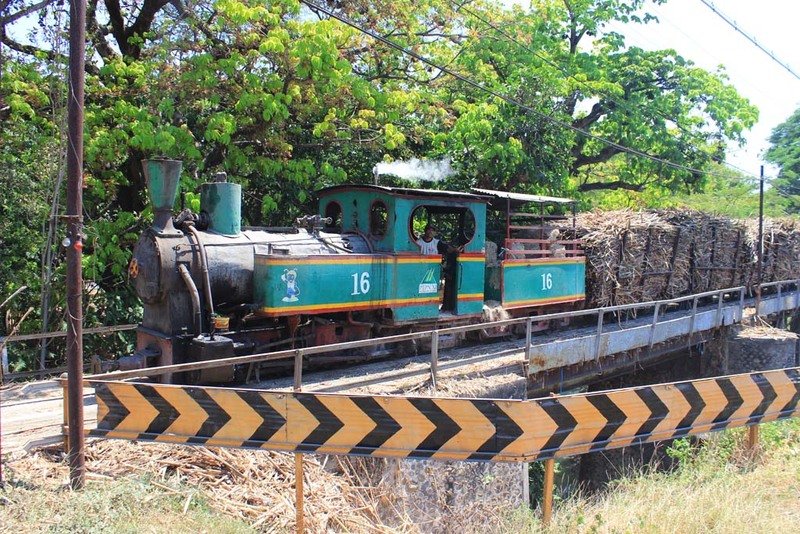 We also passed through Gempolkrep sugar mill, which still have a large collection of steam locomotives inside. But judging by the tight security and lack of operable steam locos, it’s not worth to visit the mill. 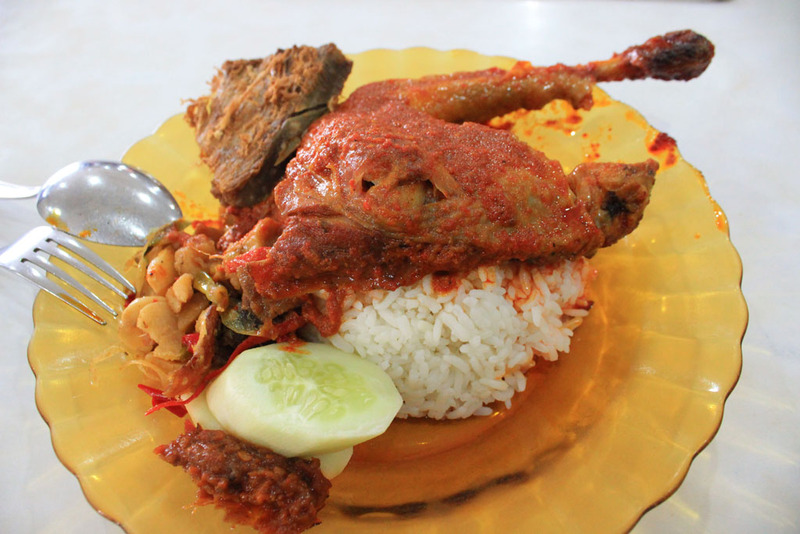 We make diversion to Mojokerto where we had a lunch. We ate at Anda Restaurant, one of the best restaurant in Mojokerto. Back when I was teenager, I would normally visit this restaurant with my parents on the way back home to Surabaya from Nganjuk. But since 2004, we have swapped place to another restaurant. We ordered our meals. 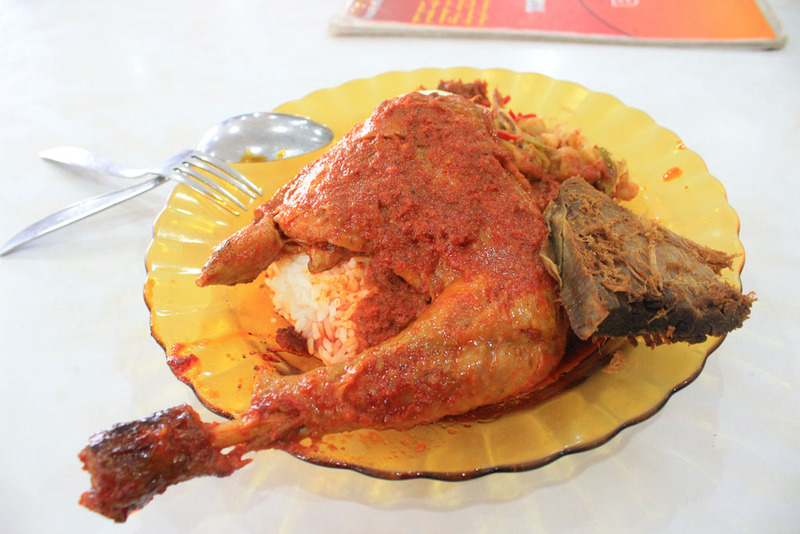 I ordered my past favorite menu: Grilled Chicken in Rojak Chili Sauce. It is served with a slice of fried beef, rice, and stir fried potatoes. I haven’t eat this menu for long, so it is truly enjoyable to eat in this place. For the drinks, I ordered this shaven ice with fruits, which I forgot its name. 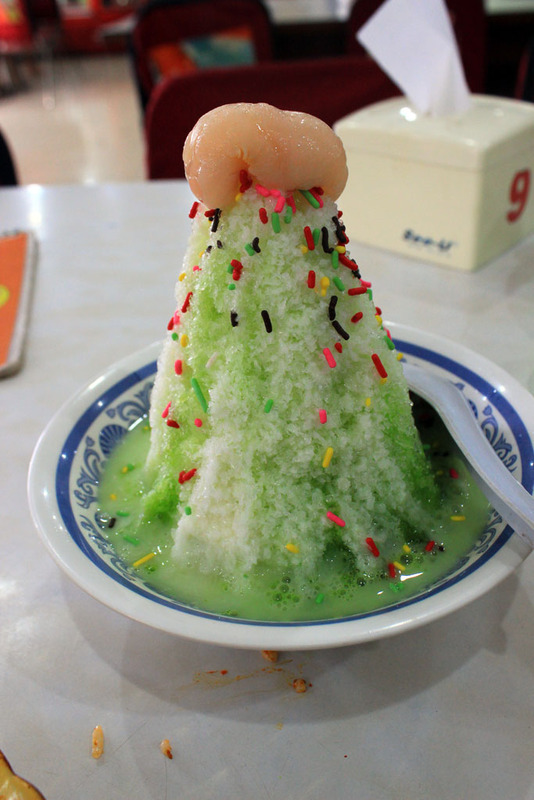 It tasted truly refreshing amid hot weather in Mojokerto. After we finished our meal, we pay the bill and resume our journey to Surabaya. I opted to resume the journey on the back road, which will take us to the Gunungsari area. I think I have made a right choice by taking this road as it turned out that the main highway between Mojokerto and Surabaya is clogged with series of long traffic jams. Some caused by accidents, other simply by severe traffic density. It doesn’t take long before we eventually made our way to Surabaya. Paul said that he want to stay in the nearest hotel to Surabaya Gubeng station (I have arranged his and Hayden ticket to Banyuwangi when we were in Madiun). So I took him to Darma Homestay which is located near the former home of my paternal grandmother. It’s not exactly the best budget hotel in the city, but at least it is good enough. Despite of its partly smelly room, it has air conditioned room with television and inside bathroom. Good value for money! Well, the tour has come to conclusion. It’s good to know that everyone are happy that we can get to see everything that we have in here. Everyone had great times along the journey, and everyone. 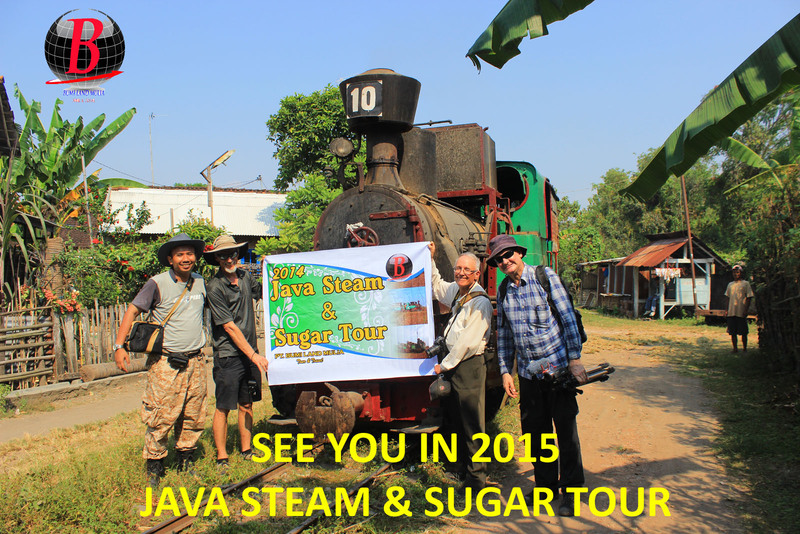 If you want to join us on the upcoming 2015 Java Steam & Sugar Tour, don’t hesitate to contact me through my e-mail at bagus70@gmail.com or bagus70@yahoo.com. We will visit more mills, and will have a much even more enjoyable trip! hello do you have an email that I can contact you on? Hi Jeremy, I have send message straight to your e-mail address.